We know there is huge support for a publicly funded, free at the point of use, NHS. The suggested free use of hospital car parks in response to the £3 million Sheffield Teaching Hospitals parking revenue issue is less straightforward. Practical issues on the ground do need to be considered. 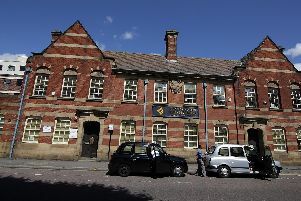 The continued expansion of the hospitals, the University of Sheffield and private schools has left the Broomhill area at breaking point. Regular traffic jams mean dangerous air pollution from Western Bank to Manchester Road and close to other main roads. Hospital visitors comb residential roads for parking spaces while many staff use free spaces some distance away in Tapton, Sharrow Vale or Crookesmoor. This situation would get a whole lot worse if everyone tried to access free hospital parking. I presume the nightmare experiences people have accessing the Northern General would worsen as well. Community group BBEST are creating a Neighbourhood Plan for the Broomhill area but they need help and co-operation from the big stakeholders. Can investment be made to offer viable public transport options and safe cycle lanes to access current sites, including subsidised travel for staff? Are there outpatient services that can efficiently be moved away from the Hallamshire site and still be accessible for patients and staff? Can the universities, hospitals and the council agree suitable sites where expansion can take place elsewhere in the city and build that into the new Sheffield Plan? An overall agreed plan for the area is desperately needed and it will need to consider real people with families going about their daily lives. This is unlike the current proposals to move the Minor Injuries Unit and Walk In Centre from easy to access central locations. These are proposals that only work for accountants looking at spreadsheets. Former UKIP leader Nigel Farage suggests there might be a second EU referendum. To paraphrase the old joke, there are two chances of a second EU referendum right now, slim chance and fat chance. Bookies are currently offering odds of 5/1 on it. At 11/8 the bookmakers think it is more likely that no deal will have been agreed before Britain officially leaves the EU on March 29, 2019. Theresa May and Jeremy Corbyn have ruled out a second vote, both essentially arguing that it would be seen as a catastrophic breach of trust with a public already weary of broken promises. At least that is 100 per cent correct. The idea that the political elitist establishment will just keep holding referendums until they get the result they want or simply ignore the result if they don’t like it rings true. It has happened before –France and the Netherlands both rejected an EU constitution in 2005 referendums, which led to the document being repackaged and adopted by both countries as the Lisbon Treaty. Ireland then rejected the Lisbon Treaty in a 2008 referendum, being the only EU country to hold such a vote, but then accepted it in a second referendum the following year after pressure from the rest of the EU ‘bully boys’. Is that what we British really want? Just as an aside, recently knighted pollster Sir John Curtice said: “Leave voters for the most part have not changed their minds about leaving”. In any case do we still want neve- ending ‘neverendums’? The wicked and cruel person who stole a walking stick belonging to me, a very disabled old lady, at Morrisons store, Halfway, on Thursday, February 1, should be thoroughly ashamed of themselves. It was in our trolley throughout the shopping ship because thankfully I can walk with a trolley. When we had finished our shopping we returned to the car and my husband helped me into it as it was so cold and windy. He put the shopping in the boot but unfortunately forgot to retrieve my stick from the trolley before returning it to the compound. No amount of phone calls to Morrisons have revealed that anyone has found it and handed it in. I have two replacement hips, an arthritic knee and a spine resembling a double-bend road sign which is very, very painful and I cannot move without this stick. It is a bit scratched and battered but has some necessary additions, including a special hook to enable it to be hooked onto a chair or table. Prior to buying this it often ended up on the floor causing a lot of pain to retrieve it. It also had a tripod ferrule which has prevented falls caused by slippery surfaces. Replacing this stick and attachments will be costly in pensioner terms plus, until that time, I am frustratingly confined to my chair. Please, whoever has it, please return to Morrisons ASAP. They have my phone number so they can let me know. I would just like to make a very brief reply to Stephen Crowther of Greystones. You, like most of the general public have the “tools” to “do your own digging “on the subject of the desire of a few elites to disrupt this country by leaving Europe. I suggest, like I myself did, that you do so. Asking for a list of names from me is not the answer because having previously written to certain other media sources I have found them reluctant to print the full context of my communications, if at all. I will though, repeat Anna Soubry’s comments that there are a minority in the Conservative party who are extreme right and are among the culpable.